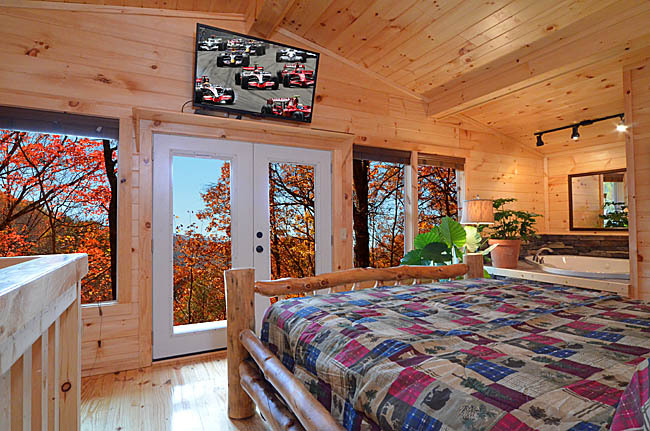 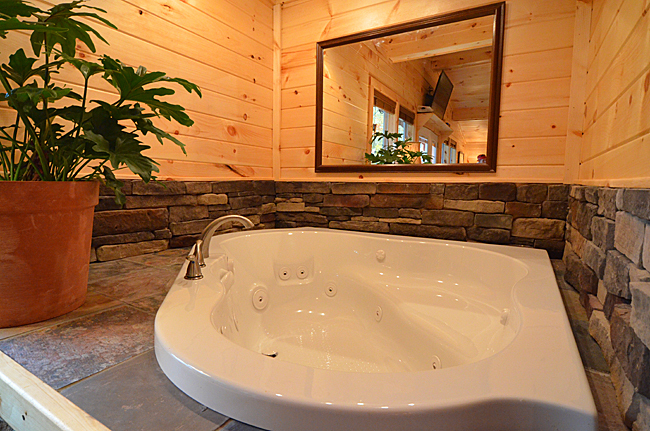 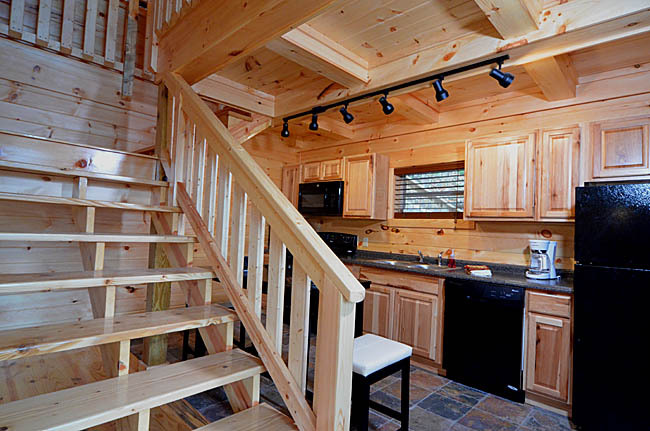 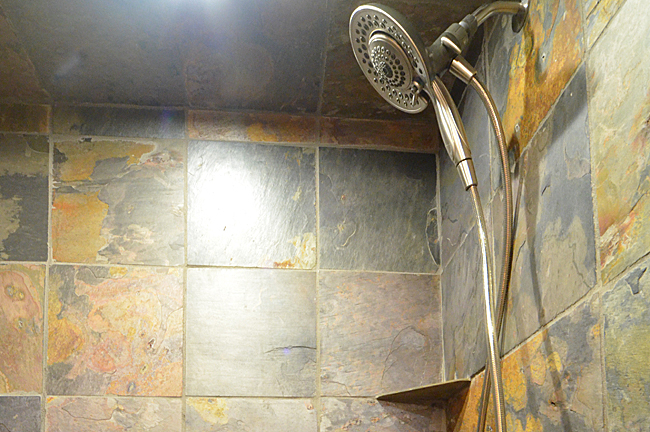 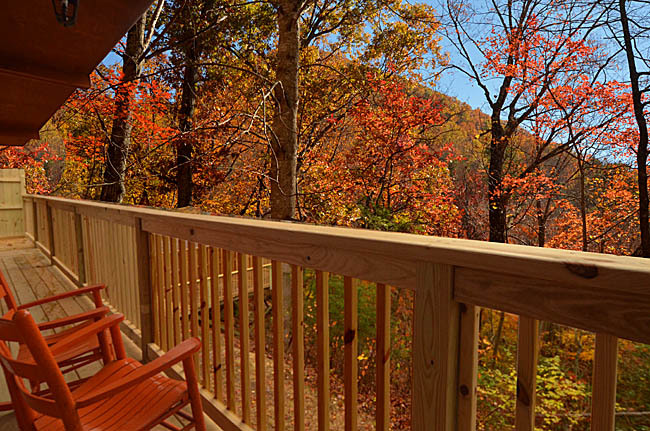 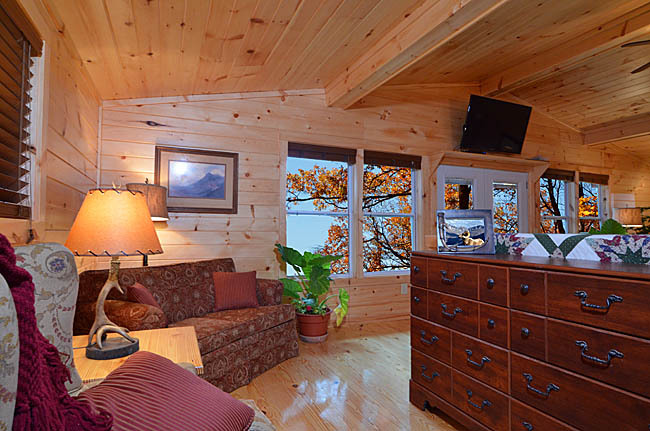 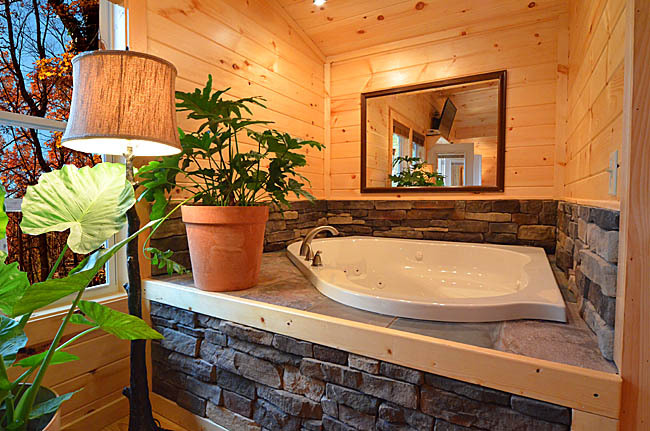 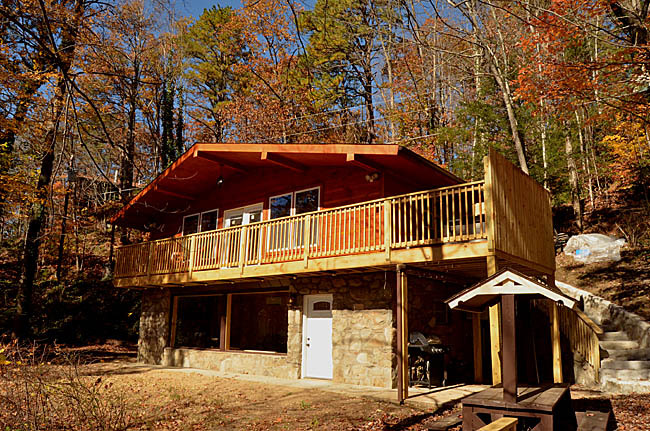 Just COMPLETELY remodeled with amazing woodwork, gracious furnishings, and extra attention to detail, Honeymoon Hideaway has absolutely everything you are looking for in a romantic getaway cabin in Gatlinburg. 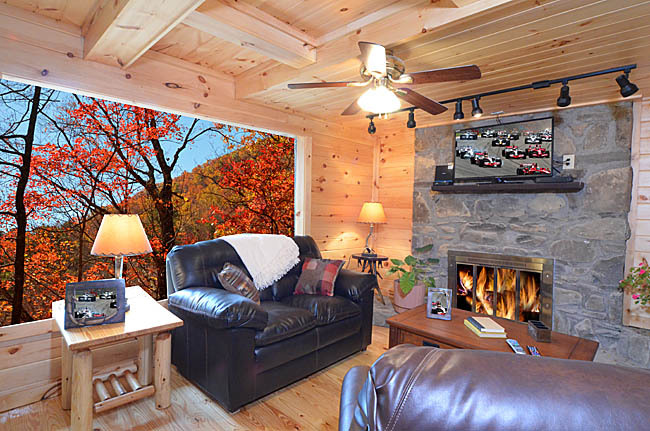 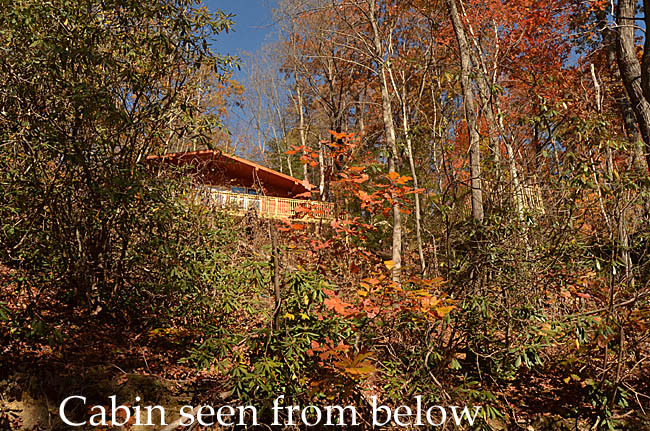 This 1 bedroom 1 bath cabin has wonderful open beam architecture with a glass and beam wall that looks out over a very private and gorgeous view that is amazingly close to downtown Gatlinburg. 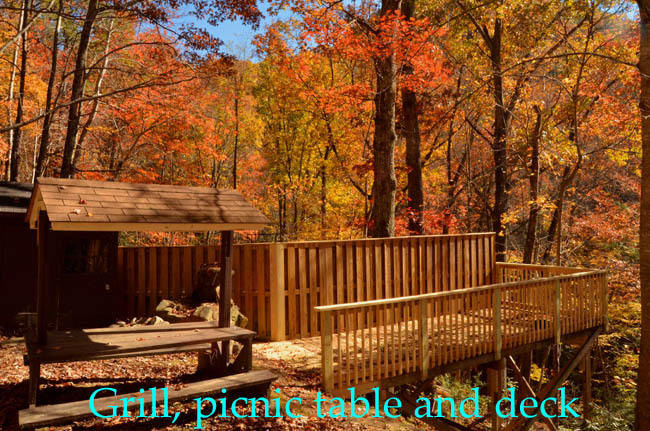 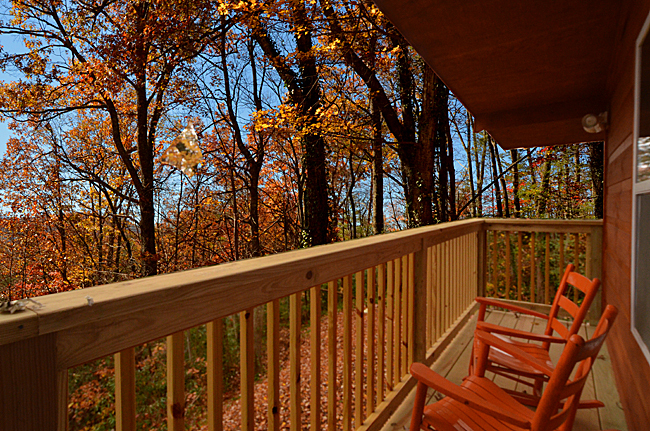 The location is within a few blocks of downtown Gatlinburg. 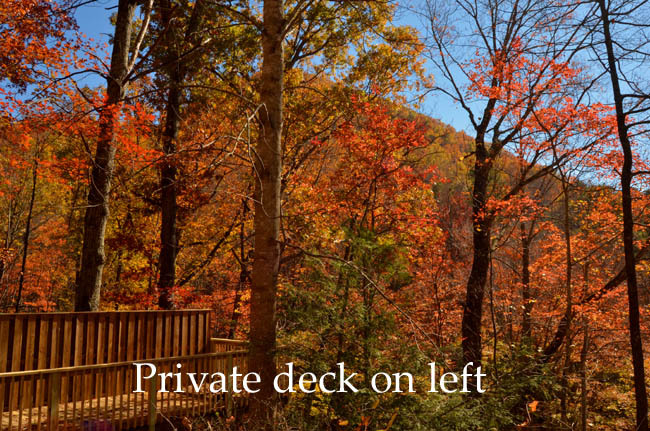 Furnished with all brand new, huge flat screen TV’s, pool table, and a unique extra private deck that extends out over the forest, which actually borders the National Park. 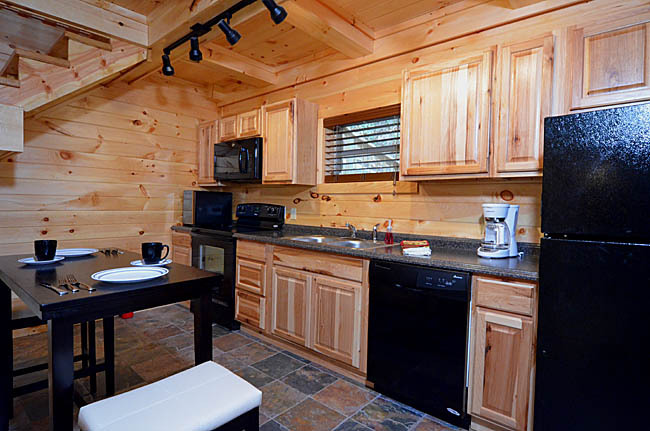 This location guarantees our guests a very quiet and private experience yet within a couple of minutes of the main parkway in Gatlinburg! 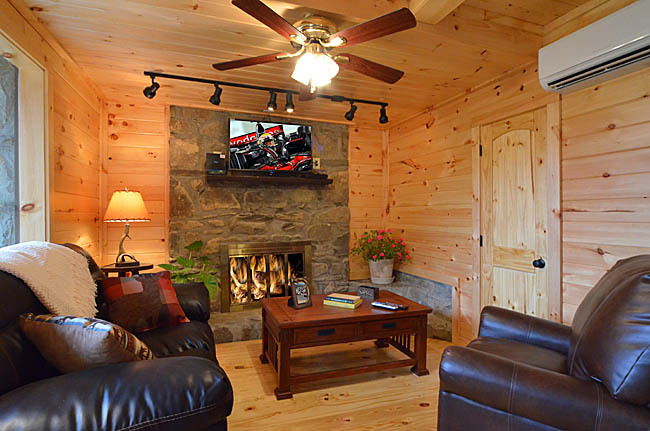 The lower level has the fully equipped kitchen and den area, with very comfortable leather sofa and recliner, flat screen TV, and fireplace. 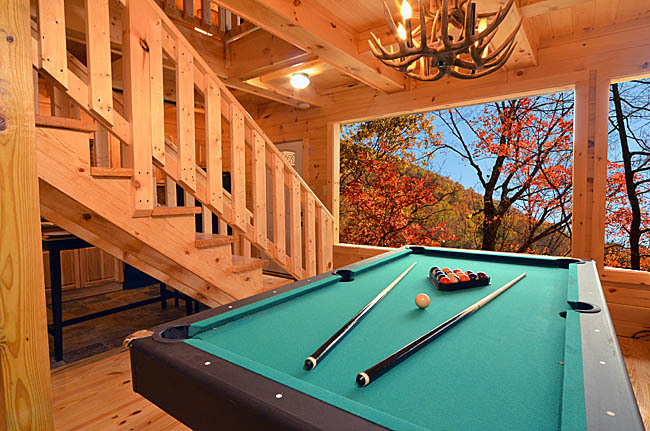 The pool table also sits in the lower level, and shares the spectacular view of the mountains. 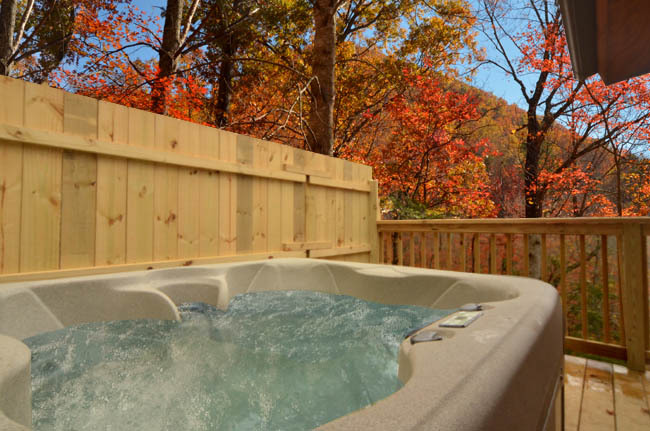 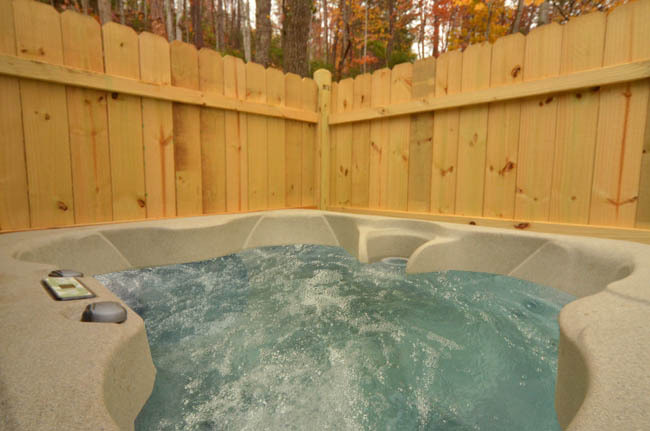 The covered upper decks, with two rocking chairs,makes for perfect times together, as does the brand new hot tub, which also capitalizes perfectly on the awesome view. 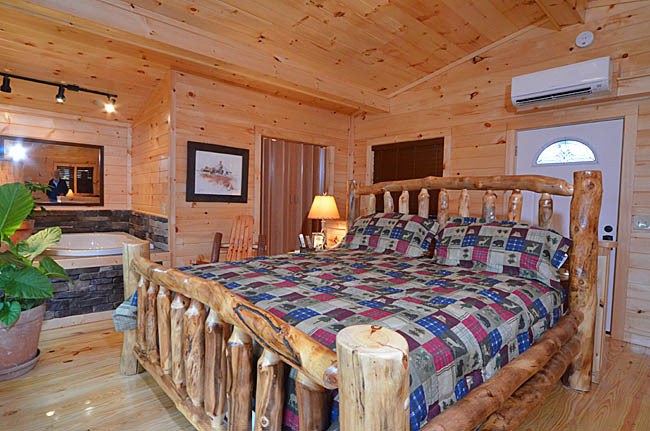 The master king bed and private indoor whirlpool tub and a very nicely furnished sitting area are also contained on the upper floor. 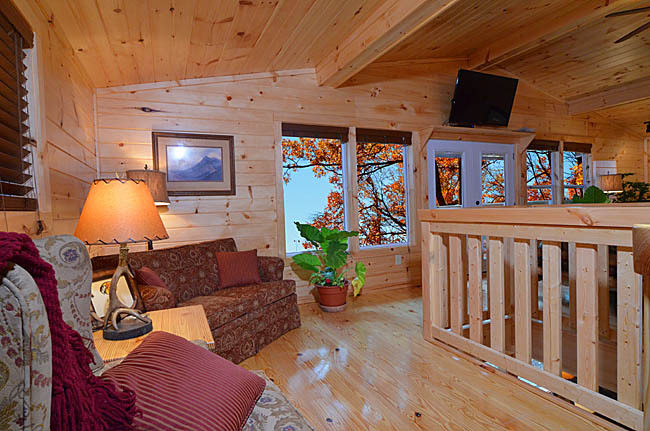 Every point in the upper level shares the tremendous, private mountain view. 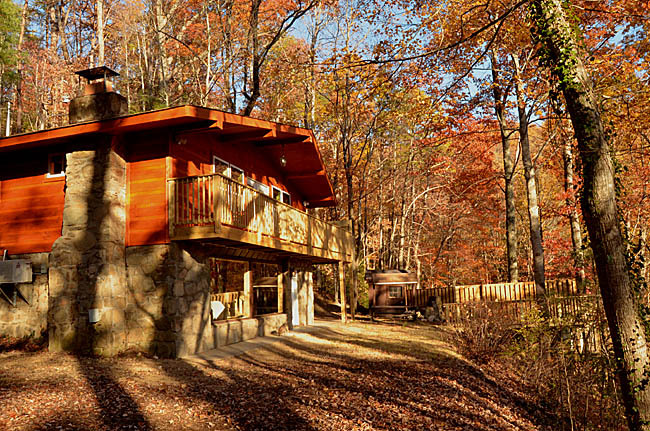 You will definitely want to return to Honeymoon Hideaway again and again!